I shall never forget Ewa Minkler and Joe Lakatos. Ewa, my crazy beautiful former lover died of pneumonia aged 26 because the latest man she'd shacked up with hadn't the wit to phone a doctor. 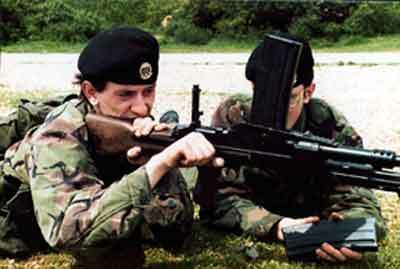 Joe Lakatos was the most switched-on soldier I ever trained and yet he drowned mysteriously on exercise with the Parachute Regiment. I never had an opportunity to go to their funerals. I wonder if they would be alive today if I had done something differently. I probably could have saved them if I were with them when it counted. These thoughts occupy my mind almost daily. There used to be a bedridden boy called roger_ on the Internet Relay Chat (IRC). He had to write his name with an underline at the end because some other Roger would already have taken the nick by the time he appeared on the IRC channel #GB late in the night too ill to sleep. He had haemophilia, hepatitis C, and depression, so we used to try our best to cheer him up. It says nothing for our efforts that one day his parents found him dead in his room. He had committed suicide. When they got around to looking through Roger's things they found his short life had not been so sad and solitary as they had assumed. Through his computer he had friends all over the world who cared about him. A lot of us sent cards of condolence to the family when we learned the terrible news. Being a real-time text medium, IRC can be intimate and yet it only presents an abstraction of the person you're talking to. Although in so-called real life no matter how well we know a person we're still dealing with an imperfect perception of the concrete whole. IRC merely presents different parts of the abstraction in a different way. Sometimes I make terrible mistakes. I'd been to a west-end restaurant with a bunch of nicks from #GB and when I got home Lyric was already on channel slagging me off for having ignored her all evening. So we had a bit of a slanging match about this and she went off-line. Shortly afterwards the odious NickUK notified us that Lyric's son had been killed in a car accident out in Israel. It was very easy for me to sit at my keyboard and dismiss this as outrageous attention-seeking. But I was wrong and Uri had been lying dead in the desert for days before his body was found and my disbelief can never change that. On EFnet there is still a channel called #Philosophy where the level of debate is diminished by racist and sexist abuse from nicks like IdiAmin and ElDorado who in adolescent backlash against American political correctness refuse to regard other users as real people in any way at all. When Hegira's children typed the news that their mother had died from a heart attack, this was received as some kind of a joke on #Philosophy until Macheath and Nightfall telephoned Australia and found it was true. Hegira's presence on #Philosophy was profoundly missed. An online memorial service was arranged and Hegira's children arranged for a priest to preside at the Australian end. If you look on the web at http://davinci.spsu.edu/sanctuary/hegira.html you can read the log from channel #Hegira where the likes of IdiAmin and ElDorado paid their respects. Even the notorious Nineve said: "It's sadly amusing that my last tribute to her should come as an ultimate admission of my error and a testament to her faith. Hegira always maintained that the words exchanged on IRC were capable of expressing and communicating genuine emotion; I always disagreed. We argued with great enthusiasm and enjoyment but it took the prospect of never doing so again to make me realize the fallacy of my position." There was disbelief on #London when somebody told us Princess Diana had been seriously injured. 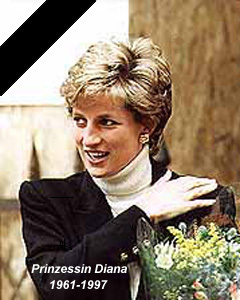 On www.cnn.com the report said "Princess Diana was seriously injured and her friend, Harrods heir Dodi al-Fayed was killed in a Paris car accident, police said early Sunday, according to wire service reports. One report said the crash occurred as the car was going through a road tunnel beside the river Seine in western Paris and that French officials said the couple were being chased by paparazzi." On #dl-bar eehPcM's immediate response was to type: "Sounds like an MI5 wet job gone wrong. I've been expecting Di to have a fatal accident for the past three years." The discussion of conspiracy theories dissolved into jokes in bad taste about Di and Dodi. At 1.45 a.m. on Sunday 31 August, Sky News was discussing the prospects of Diana finding another eligible bachelor to settle down with. The #dl-bar topic line at this point read: Di not quite dead as a Dodi. At nearly 2.00 a.m. I changed to the EFnet server irc.concentric.net and joined channel #Truth!. By now the news from Paris was a completed historical fact. The princess had been taken to hospital with concussion, a broken arm, and a lacerated thigh. On both sides of the Atlantic television news channels were showing library footage of Dodi and Di. On IRC we continued to discuss politics and cats and I was dismissive of all the consipracy theories put forward about the Diana story. Rikstafer in Oklahoma kept saying the princess was really dead but the news was being held back. Americans always seem to have an exaggerated idea of the importance of British royalty. In any case the idea of the princess being dead was as ludicrous as the one about the dead Paul McCartney having been replaced by a double. The news from Paris was that a paparazzo had been beaten up by a by-stander. Foreign Secretary Robin Cook had delayed his flight from Manila and was already calling for legislative controls on the press. In the mounting hysteria Rikstafer insisted that the princess was dead. In Tennessee Windup offered $50 that she was alive. Rik turned him down but kept saying he bet she was already dead. As soon as I typed: "I'll take $20 of that stupid bet, Rick", Sky News announced that the princess was dead. I might as well have done her in myself. Few of the millions who grieve for the princess had ever met her. They formed their impression of her through glimpses on tv and newspapers often through a paparazzo lens. From reports of kind acts and charity appearances they build up a palpable whole. To wake up on a Sunday morning to learn of such a savage death must have been shocking for them. It shocked me too. By the time thousands were leaving flowers at the gates of palaces I was mailing a 20 dollar bill to Oklahoma in a similar spirit. I'm sorry. I was so wrong.